In our own time of political crisis, Left politics are on the rise. Alexandria Ocasio-Cortez, Bernie Sanders, Rashida Tlaib, the Democratic Socialists of America, Medicaid for All: socialism is back. Teachers are striking, billionaires falling out of favor. 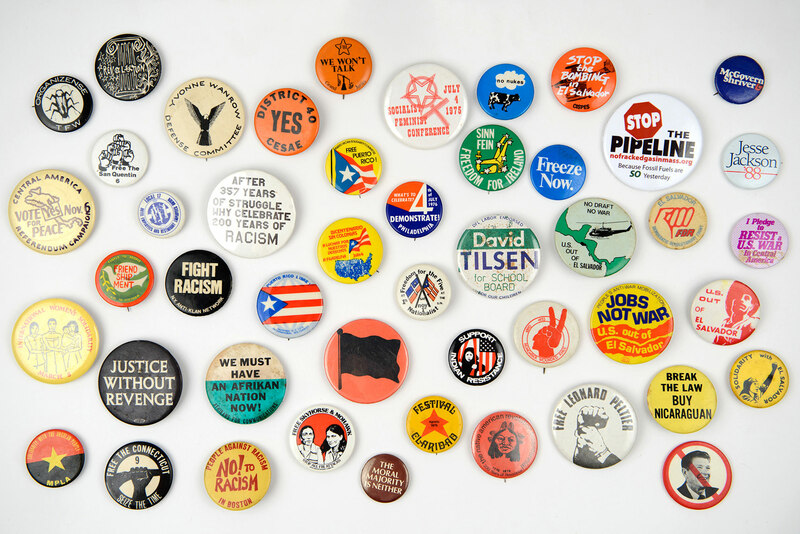 Here are buttons from movements my parents participated in and supported: U.S. out of Central America, Native American treaty rights, Puerto Rican independence and others.